The regionals field is set, conference champions crowned and things are only now starting to get good. Catch up on everything you might have missed with about a million can’t-miss meets on at once. Finally! After so many weeks of near-perfection, the Utah junior finally scored a perfect 10 for her incredibly difficult floor routine at the Pac-12 championship and even became a little emotion as she took a curtain call, waving to the crowd from the podium as teams began to rotate to the final rotation. 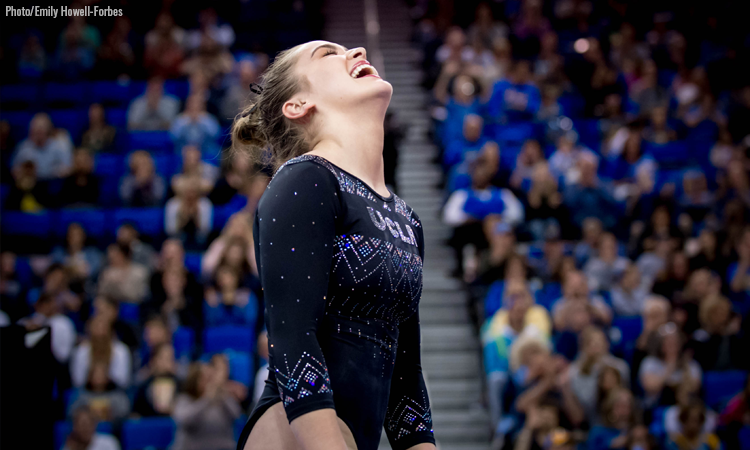 The score earned her a share of the event title with UCLA’s Kyla Ross and Katelyn Ohashi. Speaking of finally, the LSU senior finally earned her own perfect 10 on floor with what was essentially a SEC championship title-winning routine for the Tigers, making it three in a row. The perfect mark secured Finnegan not only the floor title but also the all around crown (as well as beam and bars). After the MIC field sat down for awards, the entire UIC team was brought up to be honored since it was the program’s last conference championship. The entire arena stood and chanted “UIC” and “keep the program.” All of the MIC coaches went down the line, hugging the entire team. It was an incredibly emotional sendoff, and we’re crying just writing about it. The Aggie sophomore went up after her twin, Logan, had a not-so-great routine yet dazzled with this save. The effort prevent the Aggies from counting a true fall—not to mention she still scored a 9.675 with the routine! The Big Storyline: Denver put up its best rotation of the meet on bars during rotation one and ended up leading heading into the second event. 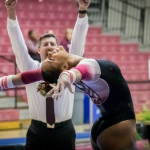 Oklahoma pulled ahead on bars and beam but made things interesting by having both a fall and an uncontrolled out-of-bounds landing on floor, but did enough to hold its lead en route to its eighth-straight conference title. These two teams weren’t perfect by any means, but if this meet showed anything, it’s that Denver can keep pace with Oklahoma and that Oklahoma isn’t infallible, despite holding the top national ranking all season. Both Iowa State and West Virginia put up respectable totals as well, but the divide between the top two and second two teams in the Big 12 was apparent at this meet. Implications: Denver and Oklahoma had clinched their national rankings before this weekend, but Denver’s NQS did increase ever so slightly. Iowa State’s and West Virginia’s position remain unchanged, meaning both should theoretically avoid a play-in spot unless the NCAA decides otherwise. Records: This is Denver’s highest postseason score in program history. It also marked the smallest margin between the Pioneers and Sooners at the conference championship since Denver joined the Big 12 in 2016. Alex Marks scored a career high 9.900 on bars, and Karrie Thomas also set a career high on the event with a 9.925. The Big Storyline: In the first session, it came down to the last routine as to which team would lead the session and set the bar for the score to beat in the night session. None of the teams in the first session really hit it out of the park, but the Sun Devils put together the most complete meet—without senior Anne Kuhm—to put up the best score of the session. Beam was not particularly kind to any of those teams; Arizona started the meet with three falls on the event and no scores above 9.775. The Huskies, who were the favorites to win session one, had a rough go of it on beam and floor. That night, UCLA and Utah led the way in the second session, scoring a combined four 10.000s between the two teams. Both had good meets and were definitely the two best teams of the Pac-12 championship. Kyla Ross dazzled yet again with more 10.000s on bars and floor en route to her conference all around win; Ute Mykayla Skinner also had a great meet and was just edged out by Ross but scored a 10 of her own on floor. The two all-arounders were tied heading into the final rotation, but Ross’ 10.000 on floor in comparison to Skinner’s 9.950 on vault sealed the deal. California put together a solid meet overall while Oregon State left tenths to be desired on beam. At the end of the day, California and Oregon State’s respective scores left them tied for 15th in the NQS rankings. Implications: California clinched the final seeded spot over BYU. Oregon State’s performance and final ranking will make regional selection interesting due to hosting conflicts with how the final rankings are ordered amongst seeded teams and host teams. Records: Hunter Dula’s 9.950 on bars is a career high, as is Kim Tessen’s 9.925 on the event. Morgan Hart’s 9.900 on bars is also a career high. Jessica Ginn’s 9.875 on floor is a career high and also matches her highest score on any event in her career. Corinne Belkoff’s 9.825 on vault is a career high as well. Arizona State’s ranking is its highest at a conference championship since 2006. Three Huskies set career highs on floor: Amara Cunningham (9.900), Geneva Thompson (9.900) and Maya Washington (9.950). Maddi Leydin’s 9.875 on bars is a career high as well. Controversies: Carol was very much present at this meet, especially as the sessions went on. We saw the most amount of 10.000s, and while it was a great meet for both UCLA and Utah, take those high scores with a grain of salt. Also, the one at a time format, while good for watching all routines, led one session of this meet to last about as long as the seven-rotation MAC championship that was filled with judging conferences and video reviews. The Big Storyline: The battle between the conference’s top two teams was intense up to the final routine, where Sarah Finnegan’s 10.000 on floor sealed the deal for the title. Florida led LSU after its first two rotations on bars and beam, but some difficulty with landings on floor and vault prevented it from surpassing the Tigers, though only by a very small amount. Not to be outdone was Alabama’s ability to hold onto third place despite competing in the afternoon. Lastly, Arkansas will be very happy with a fifth place finish after sitting at the bottom of the SEC rankings for the majority of the year. 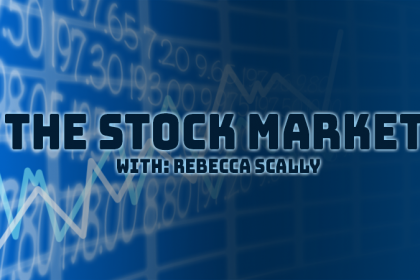 Implications: Rankings will not substantially shift this week. Records: More than 10,500 fans attended this meet, which is more than any past SEC gymnastics championship. Finnegan’s 39.800 all around score was the second-highest earned in the history of the meet. 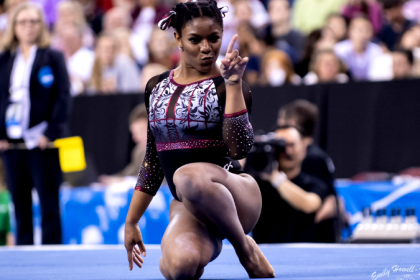 Controversies: Two routines many felt were underscored were Trinity Thomas on bars and Mollie Korth on vault. The Big Storyline: Michigan won its sixth-straight Big Ten title and 25th overall in a fairly comfortable fashion. The two teams who were expected to challenge for the title, Nebraska and Minnesota, both had to count mistakes while Michigan had one of its best meets of the season. The surprise of the night was Illinois, who finished second with a season high total after struggling early on in the year. Implications: With its score here, Nebraska was able to clinch a seeded spot for regionals. Records: With 24, Bev Plocki has now won more Big Ten titles than any other coach of any sport in conference history. Ohio State’s Danica Abanto set career highs on vault (9.825), floor (9.900) and in the all around (39.100). Michigan State senior Jessica Ling earned a career high 9.900 on bars. The Big Storyline: The biggest storyline here was SUU overtaking BYU for second place. Boise State had a complete, put together meet and ended up securing its fifth-straight conference championship by just over a point. The remaining three teams had a rocky first rotation: SUU had to count an uncharacteristic mistake on bars, Utah State was forced to put up just five on beam and counted two falls and BYU had uncharacteristic out of bounds on floor, typically its best event. On the injury front, Southern Utah’s Molly Jozwiakowski went down on her last pass on floor with what appeared to be a knee injury and had to be carried off. Implications: Boise State clinches a seeded spot heading into regionals. Southern Utah had already clinched a regionals spot and avoided having to compete in the play-in. After Saturday’s meets, BYU is just out of a seeded regionals spot at No. 17 and will be subject to geographic placement. Records: Boise State’s 49.475 on bars is a program record on the event at a conference championship. Its five-peat is the first time any Boise State athletic program has accomplished the feat since 2006 and just the fourth time overall. Controversies: Bars scoring was generous at times: Leighton Varnadore’s routine with a major form break—yet incredible save—still scored 9.675. Molly Jozwiakowski’s injury was part of a handful that took place on Friday night, leading the gymternet to believe that the day was cursed. The Big Storyline: This meet started out with a bang for Ball State with a 49.150 on floor. In the second rotation, after a bye, Northern Illinois put up a 49.300 on the same event. After each had completed three events, Central Michigan and Eastern Michigan were tied. The Chippewas pulled ahead in the sixth rotation and finished with a 195.575, a pace ahead of the Eagles. Central Michigan then went on bye while Northern Illinois finished it’s night on beam. The Huskies put up several hits, and then Cinny Lamberti had a slightly shaky outing. Pressure was on for the anchor Mia Lord. She put up a beautiful set that tied for the event win and sealed the victory—and beam program record—for the Huskies. Implications: Kent State did not do enough to qualify to regionals. Records: This is Northern Illinois’ first MAC title in program history. The Huskie beam squad also set a new program record on the event. Controversies: There were so many floor judging conferences in this meet. Seven rotations already makes for a long day, and extreme judging delays made it very frustrating. There were also two video reviews after the meet’s conclusion; neither resulted in a score change. The Big Storyline: This meet was a whirlwind. It started out on a horrific note when Lindenwood standout all arounder Courtney Mitchell was injured on the final pass in her floor routine during the first rotation. In rotation two, Centenary’s senior all arounder Tavia Smith also was injured on floor. In the final rotation, UIC’s leadoff floor specialist Abby Hasanov was the third injury of the night. Lindenwood pulled out ahead of UIC, despite Mitchell’s absence and having to put last-minute routines up on vault, bars and floor. Lindenwood sat on a bye during the final rotation, as UIC took the floor. It would take a 49.125 for the Flames to take the title. After Hasanov’s injury, they put up four strong sets. With just anchor Mikailla Northern to go, UIC needed a 9.775 to tie it up. Northern received exactly that score, and for the second time this year the Lions and Flames tied. This is Lindenwood’s fifth-straight share of the title, and UIC’s record 13th in program history. Also of note: SEMO was positively ecstatic after breaking the 190-mark for the first time this year, happily ending a tough season on a high note. Implications: As of Saturday morning, Lindenwood sat at No. 35 and UIC No. 36. On Saturday, George Washington got the score it needed to bump UIC out of regionals, but Kent State fell short, meaning Lindenwood qualified at No. 36. Records: Kayla Baddeley’s 9.875 on floor is a personal best, as was Cameron Topp’s 9.900. Xian Baumgartner’s 9.700 beam set was also a career high. Mackenzie Slee’s night included two personal bests, on vault (9.825) and in the all around (38.425). Maya Tran’s 9.375 on bars was a career high as well. Controversies: We’d really like to know more about all of those injuries. The Big Storyline: Air Force soared to a program record and a spectacular upset win over conference-No. 1 UC Davis on the strength of two great routines from specialist Anna Salamone. The Falcons put all the pieces together after an up-and-down season and showed remarkable consistency throughout their lineups. San Jose State also had a spectacular day, scoring a season high and keeping the individual all around as Taylor Chan succeeded alumna Katie Won for the title. Alaska stumbled on floor in the opening rotation and counted a fall, but was red-hot on bars and beam to break its program record—an emotional accomplishment after a near miss earlier in the season. UC Davis had some individual highlights, but fatigue finally caught up to it after an incredible season and it came up short of the team title. After the meet, SPU head coach Laurel Tindall announced her retirement after 44 years leading the program. Implications: None of these teams have qualified to regionals, but several individuals should be attending, including Sophia Hyderally, Salamone and Chan. Air Force will be the No. 5 seed at USAG nationals, and SPU’s Darian Burns has qualified to nationals as an all arounder in addition to numerous SPU specialists. Records: As well as its team program record, Alaska set a beam record and finished the season with its best beam average and NQS in program history. Anna Salamone won her fourth and fifth individual MPSF titles on vault and bars while Sophia Hyderally won her second on beam. Tyler Davis’ floor mark ties Air Force’s program record on the event. 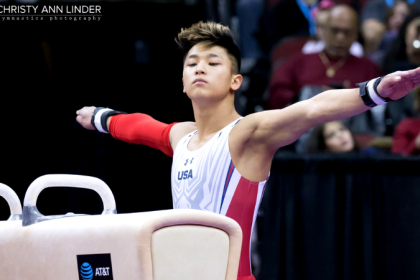 Controversies: Some typically consistent floor gymnasts had landing difficulties, and we overheard some complaints about the hardness of the apparatus. The Big Storyline: New Hampshire won its third EAGL title, beating out George Washington and defending champion N.C. State. George Washington’s score here was just enough to secure a regionals berth for the fifth-consecutive year. Implications: George Washington clinched a regionals spot and moved up to 35th. Records: Danielle Mulligan’s bars win means she has won three-consecutive conference titles, the first time in conference history on bars and only the second time overall. The Big Storyline: Though it was by no means a perfect meet, Temple won its first ever ECAC title, finishing just ahead of two-time defending champion Yale. Temple had previously never finished higher than third. Implications: Brown did not score high enough to stay ahead of West Chester for the final USAG spot and will finish in ninth. Records: Temple’s score of 49.225 on beam sets a new program record. Izzy Herczeg of Cornell scored a career high 9.950 on floor, setting a new school record. The Big Storyline: Bridgeport unsurprisingly walked away with its 11th-consecutive conference title and a strong total despite a counted fall on beam. The Purple Knights could contend for the USAG national title with ease if they can find a way to end their beam nightmare, but for now there’s plenty to be proud of, including three conference titles for rockstar freshman Julianna Roland. West Chester’s great day was good for second and its best-ever score at the championship. SCSU will be happy about an individual title for sophomore transfer Jordan Peloquin on beam. Implications: West Chester qualified to USAG nationals this week, overtaking Brown for the No. 8 spot at the last opportunity. Bridgeport will be the No. 3 seed while SCSU has qualified numerous individuals, including all arounder Hannah Stahlbrodt.